The 13th edition of the Jared Birmingham Bowl will see the AAC Western Memphis Tigers against the ACC Wake Forest DemonDeacons, as the Tigers are looking to secure their first title here in their second bowl, while the Demon Deacons are hoping to get the first title on their debut here. 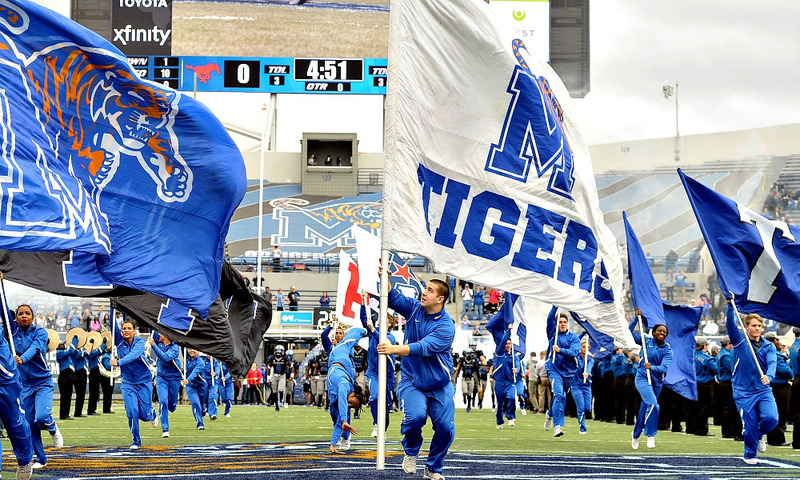 The Tigers are favorites at the -3.5 spread with the total at 73 points and Memphis at -167 money line odds. Memphis recorded four consecutive victories including the one over the conference rivals Houston to get to the AAC championship game where they met the UCF Knights but they lost the tilt, 56-41, after failing to score in the final quarter. The Tigers entered the game very well and took a 14-0 lead in the opening quarter, while they were up by 17 at halftime but the Knights responded magnificently in the second half and scored35 points and allowed just three to get a fully deserved victory. Memphis dominated the running game as they collected even 401 yards with four touchdowns, mostly thanks to the fantastic Darrell Henderson who had 210 yards and three touchdowns but Henderson said that he’s leaving Memphis after his junior year to attend the NFL Draft and he will likely not be available to help the Tigers in this one. Junior quarterback Brady White is completing 63.3 percent of his passes for 3125 yards with 25touchdowns and eight interceptions for the Tigers. White had a forgettabledisplay in a loss to the Knights as he threw for 178 yards and an interceptionand he must do much better against the Demon Deacons, especially with Hendersonout. DamonteCoxie will likely be the go-to-guy as wide receiver recorded 1104receiving yards with seven touchdowns so far and will represent the biggestthreat through the air, while Patrick Taylor Jr. will step in as the No. 1running option in Henderson’s absence. Taylor Jr. has over 1000 rushing yardsand 15 touchdowns. Memphis has the 20th offense that is averaging 43.6 pointsper contest, while their defense is the 93rd in college football as it isallowing 31.5 points per game. The Tigers’ passing game is the 50th in thecountry as they are averaging 248.8 yards, while their running offense is amongthe top 5 as they are recording 285.5 yards per game (3rd). Wake Forest was playing in a hot and cold from before they faced the Duke Blue Devils and had the best display of the seasons in a 59-7 victory that secured them a place at the Jared Birmingham Bowl. The Demon Deacons kept Duke off the scoreboard in three of four quartersand scored 31 points in the first half, while Cade Carneyrushed for a career-high 223 yards and added a couple of touchdowns as heled his team to a big victory. Even though Wake Forest had fewer passing yardsthan their season average, they recorded four touchdowns and equally torturedthe Blue Devils on the ground and through the air. Sophomore quarterback Jamie Newman is completing 61.4 percent of his passes for 755 yards with eight touchdowns and three interceptions for the Demon Deacons. Newman had an excellent performance in a win over Duke as he threw for 177 yards and career-high four touchdowns and Newman could have another good game as he is facing Memphis’ defense that allows 250.8 yards to the opposing quarterbacks. Newman formed a great connection with wide receiver Greg Dortch who has 1078yards and eight touchdowns this year and the pair already connected for 124yards and a score in a win over the Blue Devils, while Cade Carney and MattColburn will provide solid ground options as they are combining for over 1500rushing yards and 13 touchdowns. Wake Forest has the 39th offense that isaveraging 32.5 points per contest, while their defense is the 102nd in collegefootball as it is allowing 33.3 points per game. The Demon Deacons’ passinggame is the 67th in the country as they are averaging 228.4 yards, while theirrunning offense is among the top 30 as they are recording 214.8 yards per game(25th). These schools have never met before and we’re going to have a tight game between two highly-efficient sides but I am giving a slight advantage to the Demon Deacons who unlike the Tigers didn’t lose their star running back to the NFL and their head coach has more experience in bowl games. Wake Forest’s Dave Clawson already participated infour bowl games and won two, in 2016 (Military) and 2017 (Belk), so he islooking for the third consecutive bowl, while Memphis’ Mike Norvell is stillsearching for his first win at the bowl game as he failed to win in theprevious two at Boca Raton and Liberty. The Tigers; offense could struggle as aresult of Henderson’s absence and that’s why I am backing Wake Forest to coverthe +3.5 spread. Considering the teams’ respective offenses, we can expect around 75 points in this one, and the total is set at 73, so this is a good opportunity for the bettors who like to play on the over to take it. Despite Henderson’s absence, Memphis has the ability to score 40 points with ease, while Wake Forest also can score freely and I am expecting a classic shootout here. Over is 10-1 in Tigers last 11 non-conference games; over is 5-1in Tigers previous six games overall, while over is 5-1 in Demon Deacons last six non-conference games, and we can witness a real spectacle here.